Featuring the same advanced technology as John Deere’s award-winning A Model family of fairway, rough and trim & surrounds mowers, the new 6000A Series PrecisionCut fairway machines will be launched at BTME 2019 in Harrogate next January and will be available from UK and Irish dealers in the spring. Based on a three-wheel drive, smooth tyre configuration, the 6080A, 6500A and 6700A five-gang cylinder models have been introduced to meet a specific customer need for improved budget control, while still delivering a mower designed for the rigours of fairway applications. All three models utilise a powerful 24.7hp (18.4kW) diesel engine and boast several other premium performances and comfort features. 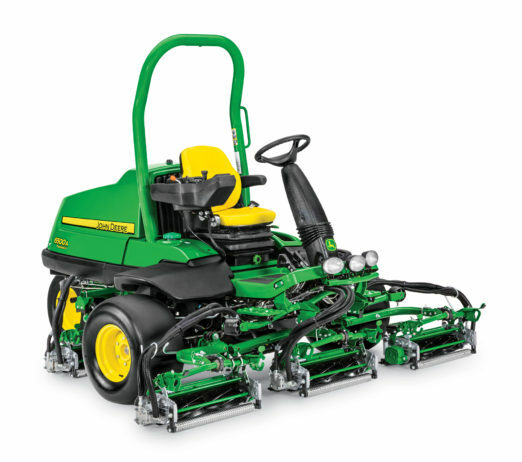 Just like the existing John Deere A Model range, these latest mowers offer exceptional cut quality, even on slopes, thanks to the standard LoadMatch system, while the innovative eHydro transmission eliminates linkages between the foot pedals and the hydrostatic pump. Cutting widths are 2.03m (80in) on the 6080A and 2.54m (100in) on the 6500A and 6700A, with a choice of 46 or 56cm (18 or 22in) QA5 5in or QA7 7in diameter cutting units depending on the model. In addition, the 8mph (12.9kph) mowing speed allows operators to cut larger areas in less time. As with all A Model machines, the new fairway mowers also feature the innovative TechControl display with password-protected controls. TechControl allows course managers or technicians to enter a range of commands, including mowing, turning and transport speeds as well as service intervals, while also providing onboard service diagnostics, to give complete and consistent control over cutting performance and quality. 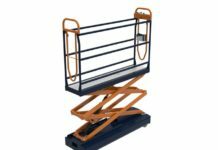 The established frame design provides strength and durability, and a high-quality cut is maintained in undulating terrain thanks to a rear-attaching yoke on the cutting units. Combined with the standard GRIP all-wheel-drive traction system, these features allow the mowers to climb hills more easily without slipping. The new John Deere 6000A Series PrecisionCut fairway mowers also provide several features designed to increase machine and operator uptime. These include internal hydraulic wet disk brakes that eliminate the need for linkage adjustments and grease points in the braking system, along with the traction drive system that needs only one fluid type for regular maintenance. In addition, the comfortable operator station includes CommandArm mounted controls that move with the seat.